One of horror’s most prolific actresses, Karen Black, has passed away at the age of 74. 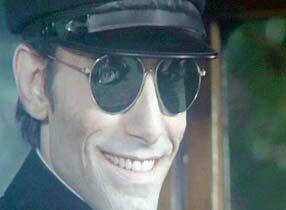 While the Washington Post article talks mainly about her mainstream work, the film that I most remember Black from is Burnt Offerings, one of those ’70s movies that I probably saw when I was a little too young to be watching it, and which has stayed with me since then. The movie was directed by Dan Curtis and also starred Burgess Meredith, Oliver Reed, and Bette Davis (playing Aunt Elizabeth, who had a really bad hand dealt to her). Needless to say, things do not turn out well for the family in the end. Lesson learned: if the housesitting job seems too good to be true, it probably is. 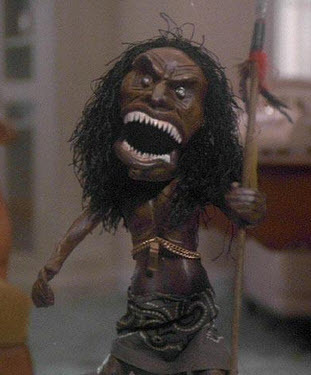 Black was also in another horrific, nightmare inducing movie from the same time period called Trilogy of Terror. Surprise, surprise, this was another Dan Curtis production (it is to this man I owe many of my childhood fears). While all three stories in this one are creepy in their own right, it was the last one, the one about the African doll, that always really got to me. They film part of the story from the doll’s perspective, as it is sneaking up on Black’s character, who had no idea that she is about to be attacked by a doll possessed by evil. The memory of that doll skittering around the rooms and mercilessly attacking the woman over and over again haunted me for years. Fortunately for me, I have a perverse enjoyment at being haunted. In the years since I first saw both of these horror movies, I have watched them over and over again. I have discussed them with others, who have also been pleasantly haunted by them over the years. These were some of the first films that sent that tingle of terror up my spine, and they helped opened up the door to a genre that I have taken enjoyment from ever since. Thanks for the memories, Ms. Black.